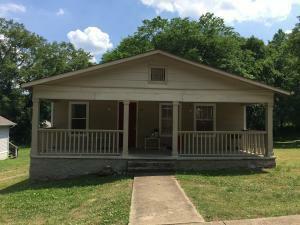 Duplex located in a fast growing area of North Chattanooga within walking distance of Stringers Ridge trail head and close to Publix. This property is a required THDA designated property with CHA tenants. Good income and there is one side with 2 bedrooms 1 bath and washer & dryer hookups. The second unit has 3 bedrooms 1 bath and washer & dryer hookups. Kitchens have had some updates and there is some off street parking.